Slouching is something our parents and teachers warn us against from a very young age. It’s sloppy, makes us look heavier and shorter, and hurts our backs. But did you know that slouching affects a lot more than your back and appearance? 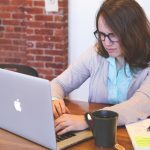 If you’re a chronic sloucher, read on to find out how your poor posture is affecting your overall health. Let’s get the most obvious side effects out of the way first. When you slouch, your balance is not properly aligned and the joints and muscles in your back don’t evenly share the weight, which can lead to tension and pain in your lower back, upper back, and shoulders. When you notice the pain, you might try to overcorrect your slouch, which could make you exaggerate by pulling your shoulders too far back. Overcorrecting can be just as painful on your spine and shoulders. To learn proper posture, ask your physiotherapist to help you. Imagine trying to use a garden hose that hasn’t been properly rolled up and put away and is tangled and kinked as a result. Water might come out in tiny drops or not at all. Your intestines work the same way. By slouching, your intestines fold together and significantly reduce your digestive capabilities. The resulting feeling of being backed up can make some of us slouch in order to hide our bloated stomachs, which turns into a vicious cycle. Fix your posture by engaging in core-strengthening exercises that tend to stretch out your internal organs, such as yoga or pilates. You might be surprised how quickly things get moving. When you slouch, your neck and head tend to lean forward, which makes you automatically clench your jaw. Eventually, all that tension will give you a major headache, and it could lead to more serious issues, such as wearing down your jaw joint. To prevent headaches and jaw pain, it’s important to be aware of your clenching and to lean your head back. Having proper posture means your neck and head are not leaning too far back or too far forward. Overcorrecting can be just as detrimental, so it’s important to sit and stand straight. This is perhaps the most serious side effect of slouching. Not only are our digestive organs affected by bad posture, but our lungs can’t function properly in this position. When our lungs aren’t working properly, our tissues and other organs aren’t getting the oxygen they need, which can lead to scary problems, such as difficulty breathing and reduced brain and heart function. If you realize that you’re consistently confused and have difficulty concentrating, check your posture. Sit all the way back on your chair. If your feet can’t reach the floor, place a small foot stool under them. This also relieves pressure on your lower spine. Think tall. It might sound funny, but just being aware of how you stand will automatically make you stand up taller. Wear comfortable shoes. If you’re a sloucher, high heels might be the culprit. Practice core-strengthening and flexibility exercises. Yoga, Pilates, aerobics, and swimming will all help you strengthen your back and stomach muscles. A stronger core will allow you to better support your weight. 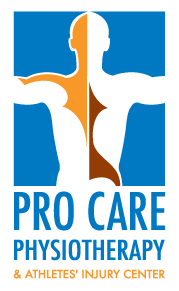 Get professional assistance with your bad posture or slouch at Pro Care Physiotherapy. Our therapists will give you a customized physiotherapy service to improve your posture and manage your pain. Contact us today.